Here’s a fun and tasty recipe that’s guaranteed to be a party-pleaser. I guess you could call it a Mexican spin on an Italian classic. In a large stock pot, heat approximately 1 tbsp. olive oil on medium heat. Add garlic cloves and chopped white onions. Add approximately 1 tbsp. of chili powder and oregano. 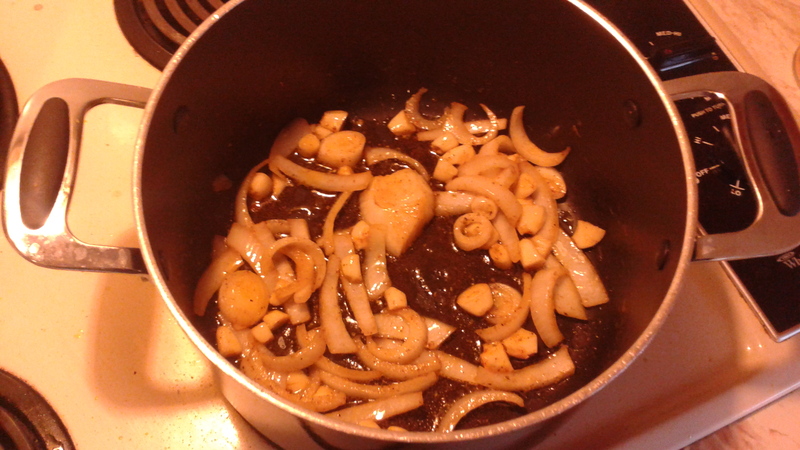 Slowly saute onions, garlic and spices together (stirring frequently). Add boneless chicken, fully coating chicken with oil and spices. Lightly brown, then add 4 cups of water. 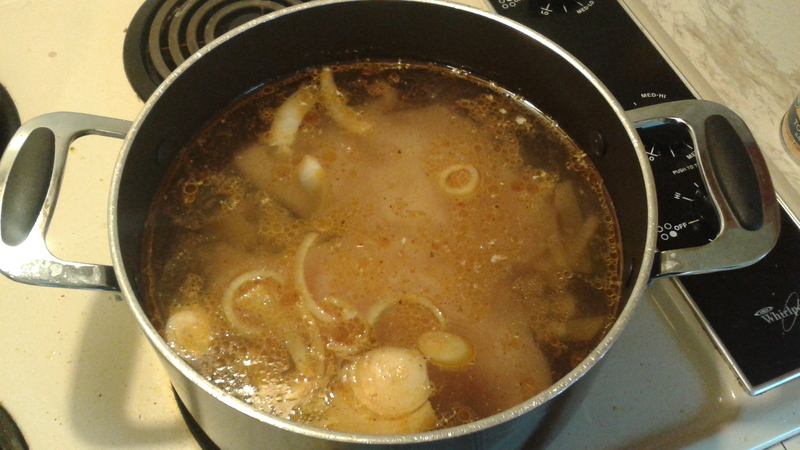 Cover and boil for 25-30 minutes, or until chicken is cooked thoroughly. Remove chicken from broth and pull apart with two forks. Set aside. Heat approximately 1 tbsp. of vegetable oil on medium heat. Add approximately 3 tbsp. of chili powder and 1 tbsp. each of cumin, garlic powder, and oregano. Stir together to create the flavor base for about 2-3 minutes. Add one can of tomato sauce. Stir on low to medium heat. Add 1 tbsp. of brown sugar and salt. Add sprinkles of flour to create a smooth consistency. You want the sauce to taste sweet with a hint of spice. Keep stirring on low to medium heat (you don’t want the sauce to burn). 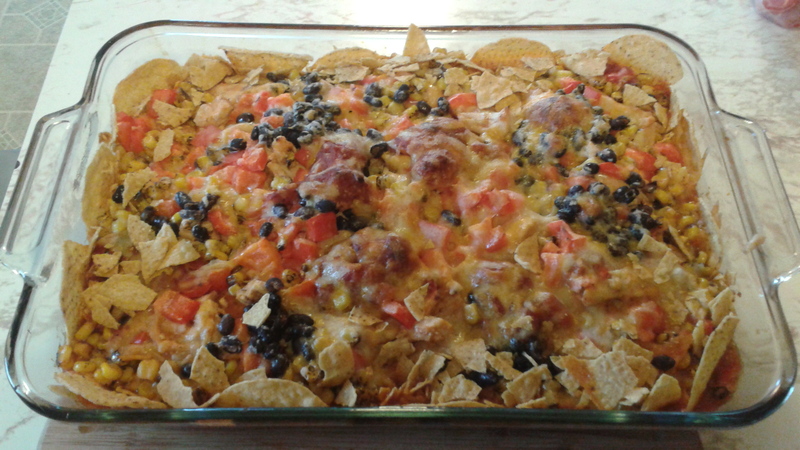 In a 9 x 14 baking pan or casserole dish, coat bottom of pan with a layer of enchilada sauce. 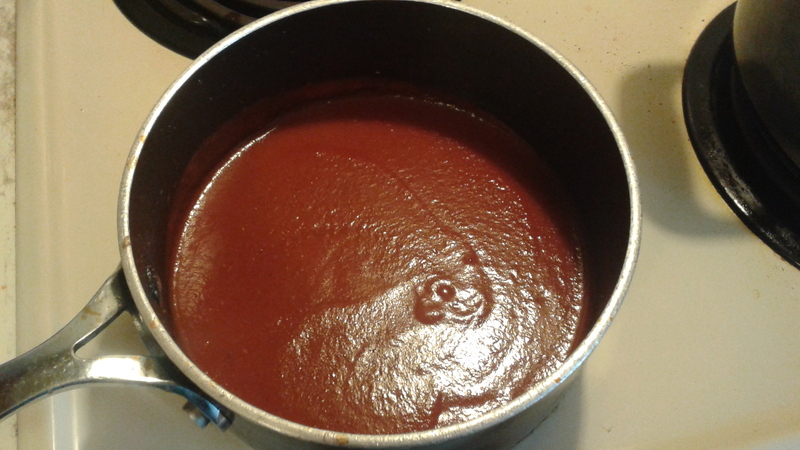 Take the remaining sauce, and mix it with the pulled chicken in a large bowl. Make sure the chicken is fully coated with sauce. Cut corn tortillas in half. Layer the halves on top of the sauce in pan. 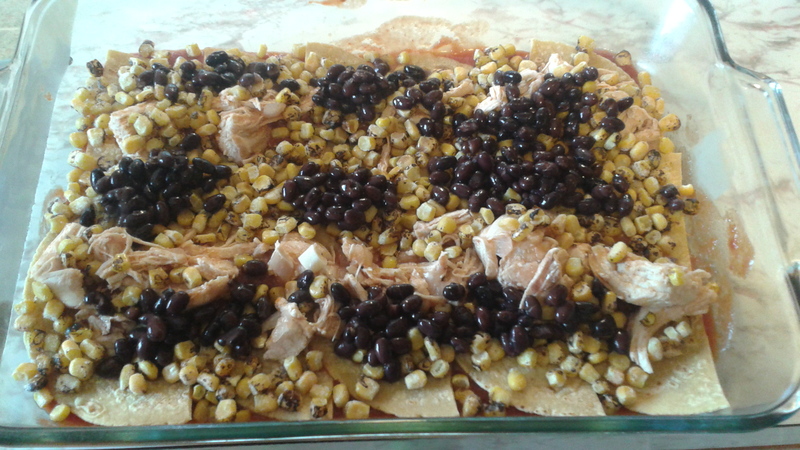 Add one package of roasted corn, one can of black beans and a layer of chicken. 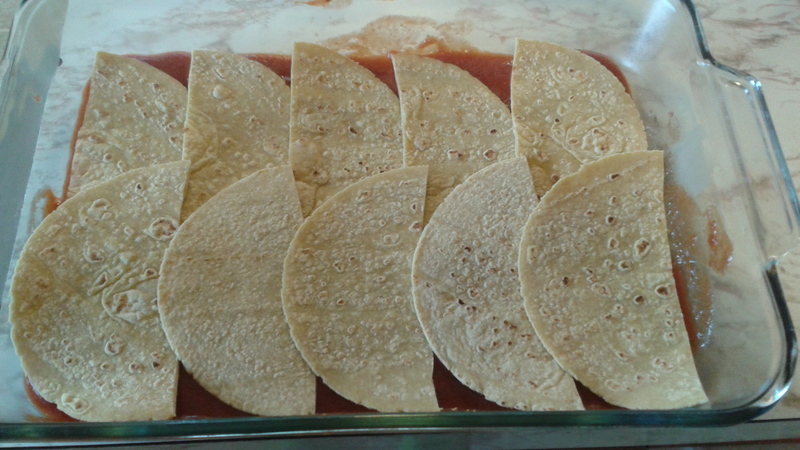 Add another layer of tortilla halves, enchilada sauce and chicken. 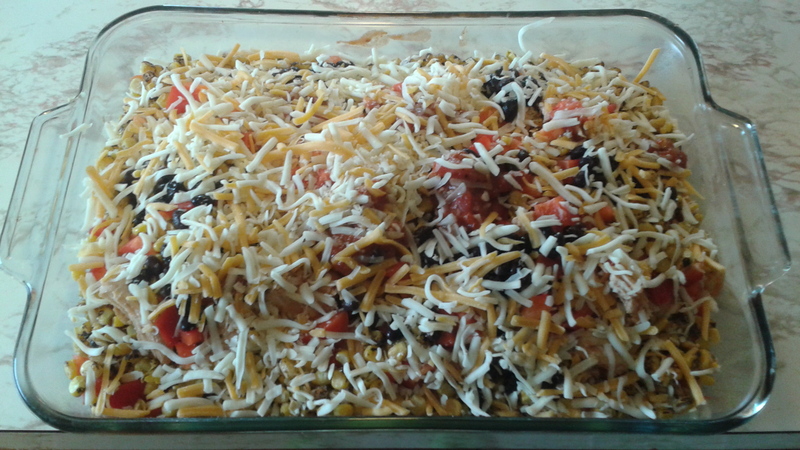 Add chopped red bell peppers and a layer of cheese (3 cheese grated blend). Bake uncovered for 35-40 minutes. Let cool for 5-10 minutes, slice and serve! Also stores well for leftovers the next day. Optional: garnish with tortilla chips around the border and call it good. ‹ PreviousAn Ode to Hopping on Another Reflective Bandwagon of the Year.